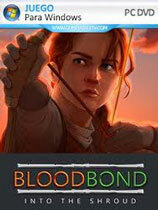 [4.7.19][血脉 v1.4升级档+免DVD补丁CODEX版][Blood Bond - Into the Shroud][117MB] - 游侠游戏补丁下载区 - 游侠NETSHOW论坛 - Powered by Discuz! Controller support has been introduced with support for Xbox, PS4, Steam and most generic gamepads and controllers. You can have the mouse and gamepad/controller connected to your PC simultaneously and switch between them at will during the game as you like. Idle animations improved and diversified. The Shroud has parted alarmingly close to Vallentuna. Expect more random monster encounters and danger closer to the town areas. There is a heightened militia guard presence across the Vallentuna area. GMT+8, 2019-4-21 07:14 , Processed in 0.201736 second(s), Total 13, Slave 12 queries , Gzip On, Memcache On.